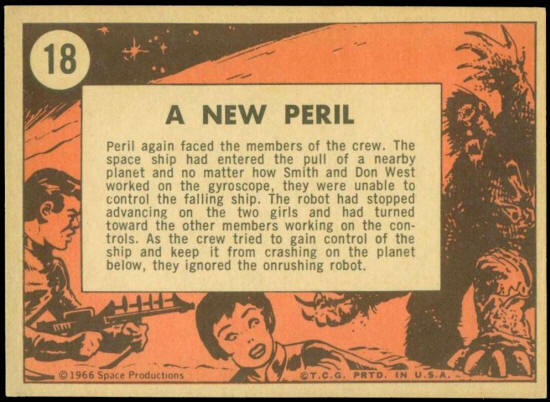 Peril again faced the members of the crew. 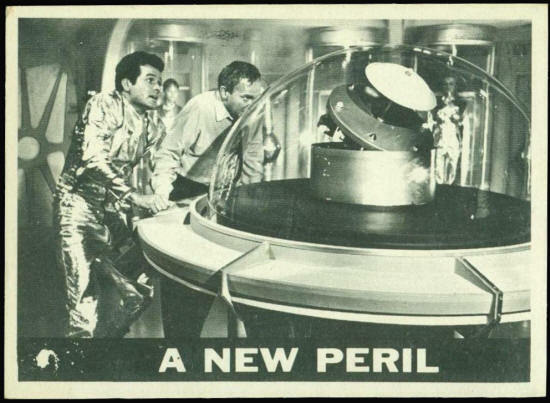 The space ship had entered the pull of a nearby planet and no matter how Smith and Don West worked on the gyroscope, they were unable to control the falling ship. The robot has stopped advancing on the two girls and had turned toward the other members working on the controls. As the crew tried to gain control of the ship and keep it from crashing on the planet below, they ignored the onrushing robot. c 8 Silence from Earth c 36 Where Is Penny? c 19 No Escape c 47 What Was That? copyright LostWackys.com Photos, artwork, and illustrations are displayed for educational purposes only.